If you’re a fan of Yayoi Kusama and love to skate (or looking for a really cool piece of art for your new home with plenty of blank walls), you might want to consider this. 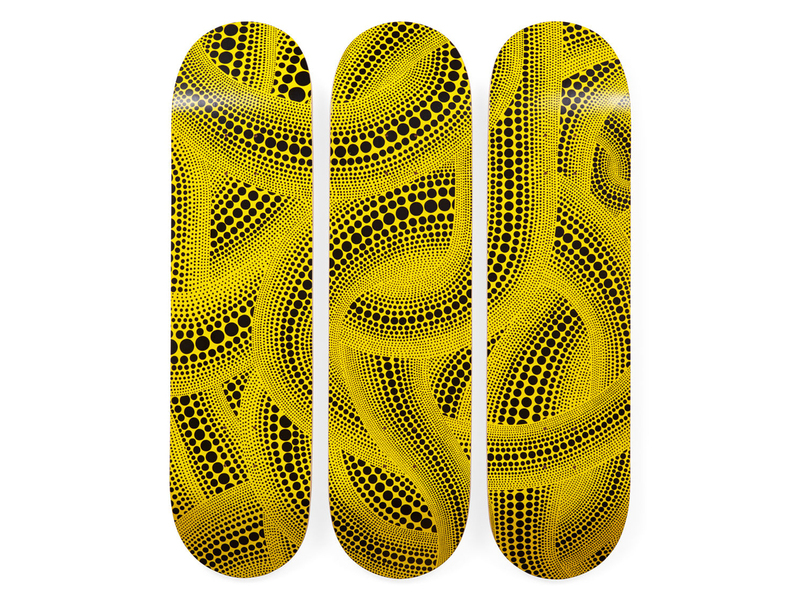 A MoMA (or Museum of Modern Art, for those not in the know) exclusive, you are looking at a set of three Canadian maple wood skateboards featuring Kusama’s now iconic Yellow Trees artwork from 1994. Sold as set for USD500, the good news is that MoMA will ship to Singapore, so there’s really no excuse not to. And as a bonus, the skateboards will come with a wall mount so you can easily have them hung on your wall in no time. And besides this set of 3, you can also get Black Dots and Red Dots in single decks that retail for USD200 each. 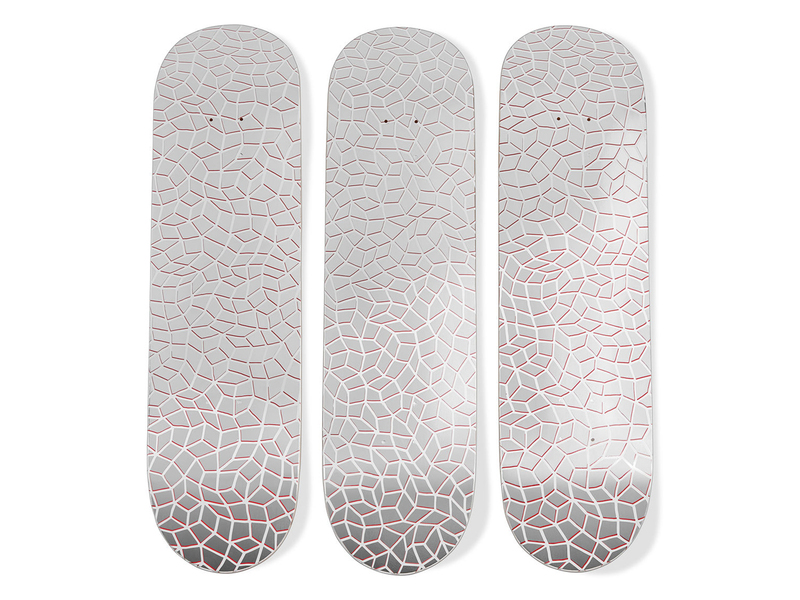 Or, if you’re looking for something even more special, how about the Infinity Nets Skateboard Triptych that’s limited to just 500 sets? Sold at USD800 a set, it’s shiny, and it’s signed, which makes it really special. Go!